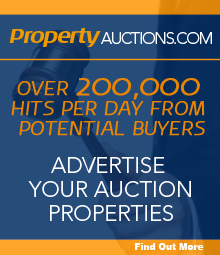 Allsop Commercial’s first auction in 2016 raised nearly £66 million, with a success rate of 81%. Of the 112 lots sold, 16 were for in excess of £1 million, making it Allsop’s biggest February Commercial sale since 2007. The highest value achieved was for a large retail parade adjoining Ruislip Manor Underground Station, which sold for £7.2 million (Net Initial Yield: 3%), making it Allsop Commercial’s largest individual sale since March 2007. Other notable sales on the day were a retail parade in Reading whild sold for £2.01 million (7.64%); a bank and shop with consent for 7 flats in Brentwood which sold for £1.9 million (4.58%); and a 2.1 acre industrial site in Grimsby which sold for £1.355 million (6.98%). Allsop Commercial’s next auction will take place on 21 March at The Berkeley, Wilton Place, London SW1X 7RL.